In todays competitive business climate, companies with effective procurement strategies are beginning to separate themselves from the competition. Successful purchase order management (POM) is now a critical core competency and organizations in all industries have started investigating tools and techniques to help them succeed. 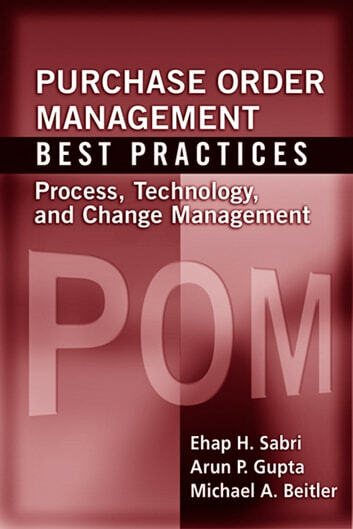 Purchase Order Management Best Practices brings together the fields latest advances and gives business professionals a comprehensive framework for lowering costs, improving efficiency, eliminating non-value added activities, and optimizing the transformation program for the POM process. 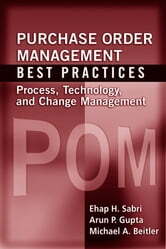 It offers practical, proven tactics and detailed guidance into every aspect of POM process redesign: mapping the existing process, intelligently leveraging new technologies, building a strategy for strengthening the relationship with suppliers, identifying comprehensive related metrics, and much more, including industry success stories and lessons learned.